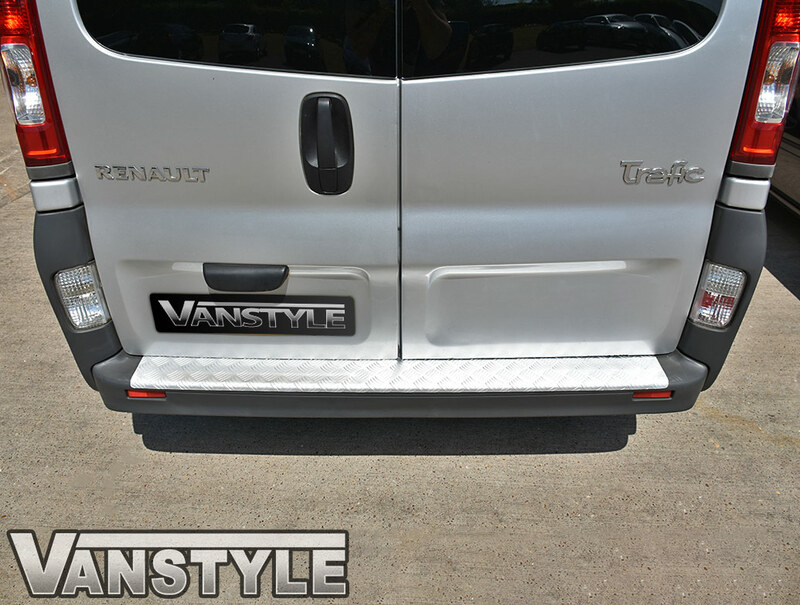 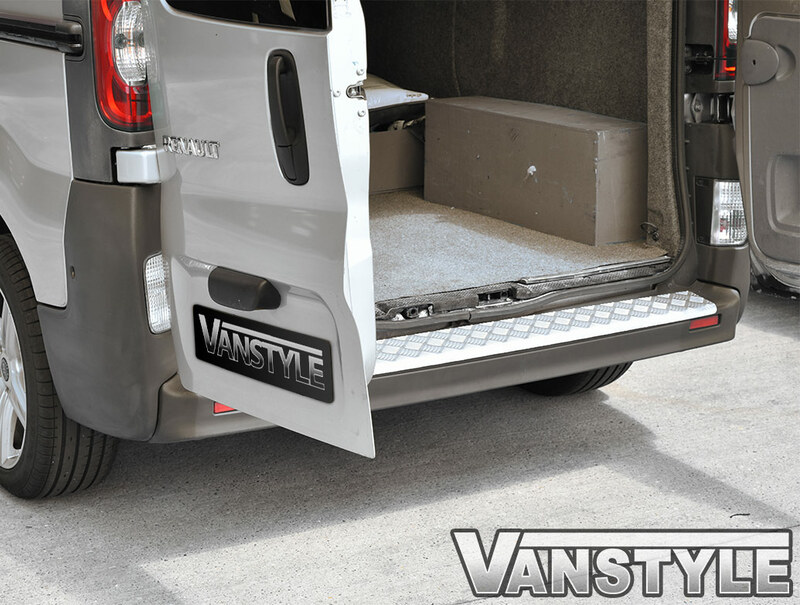 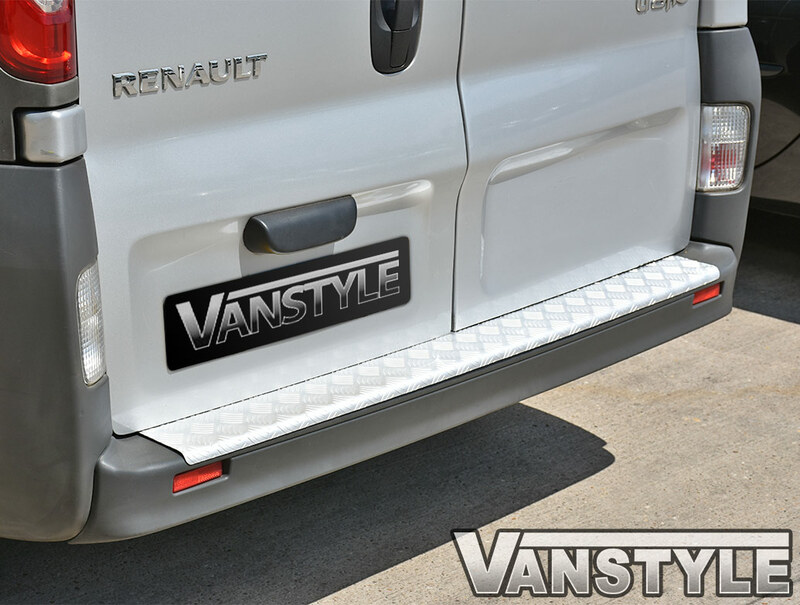 This 3D textured satin aluminium rear bumper protector is our most rugged option for the Vivaro, Trafic, and Nissan Primastar. 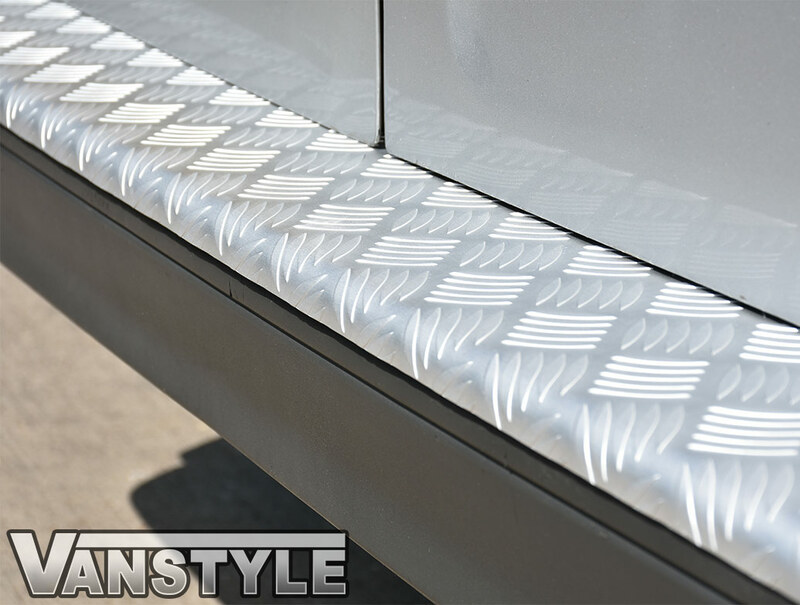 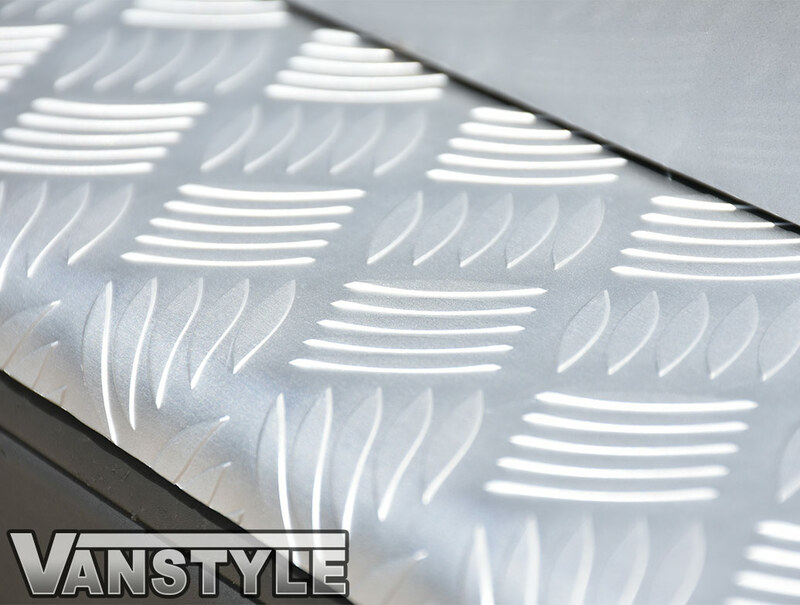 The textured surface makes getting in and out of the van much easier, especially in wet and slippery conditions. 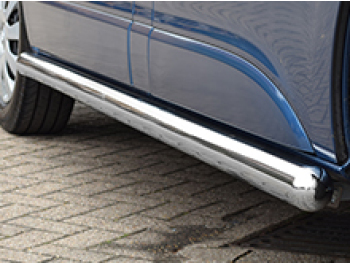 The finish on the bumper protectors is fantastic, and free of any imperfections. 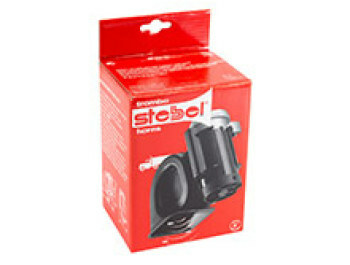 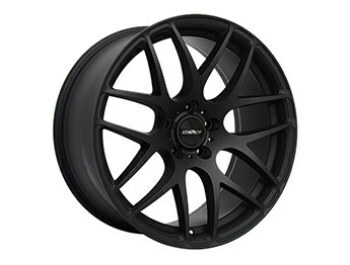 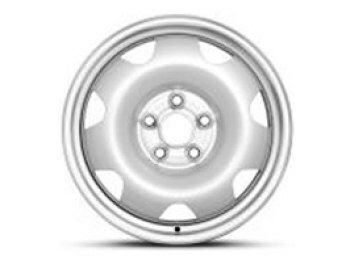 We are sure you won't be disappointed with he quality of this product. 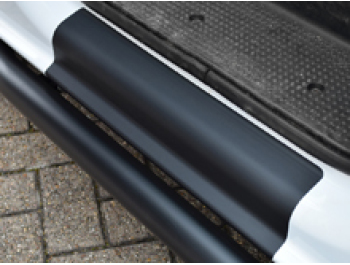 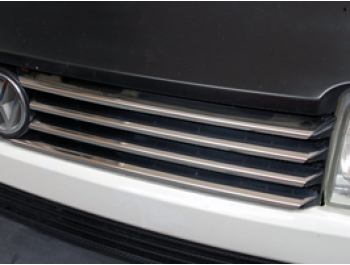 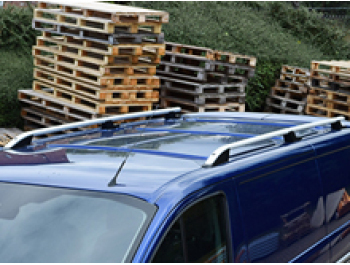 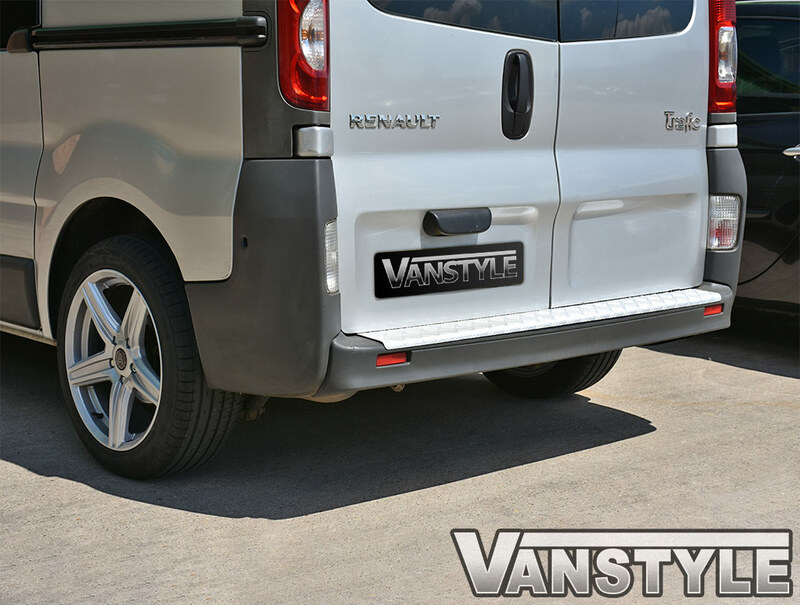 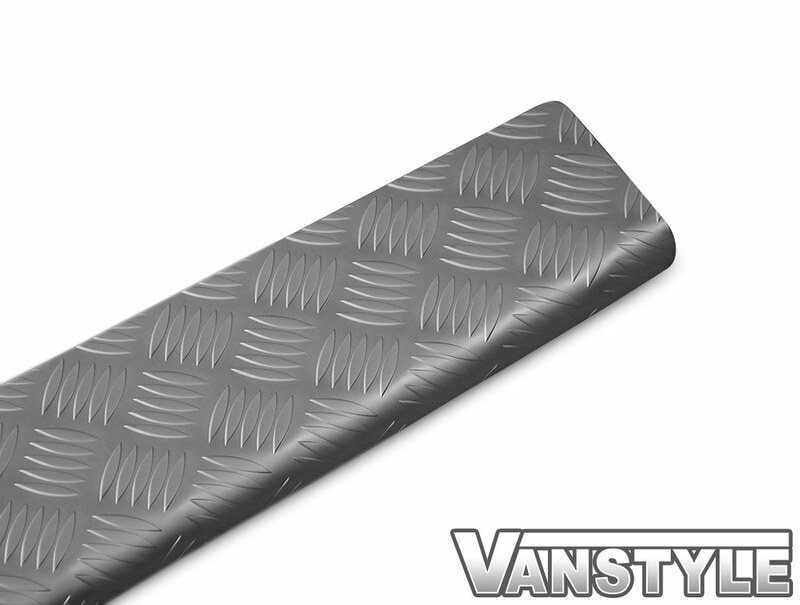 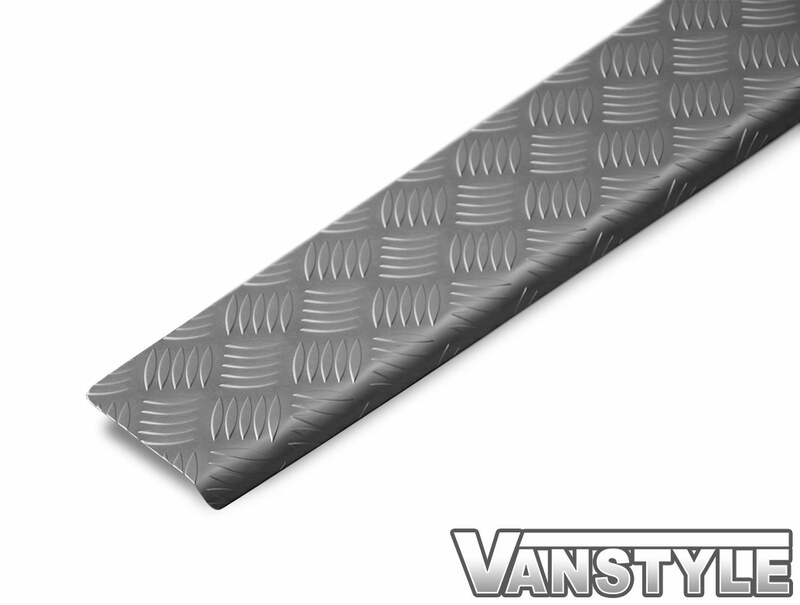 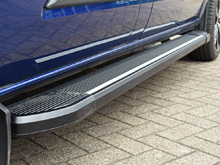 As with all of our bumper protectors, this aluminium cover gives next to full coverage across the width of the van, and extends over the front lip of the bumper to give the greatest protection possible from bumps and scrapes. 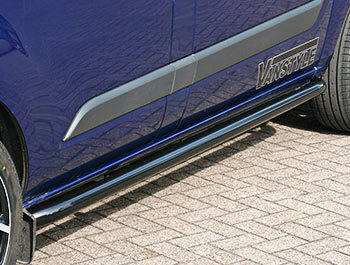 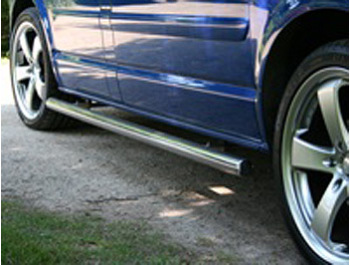 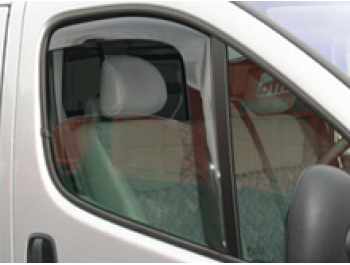 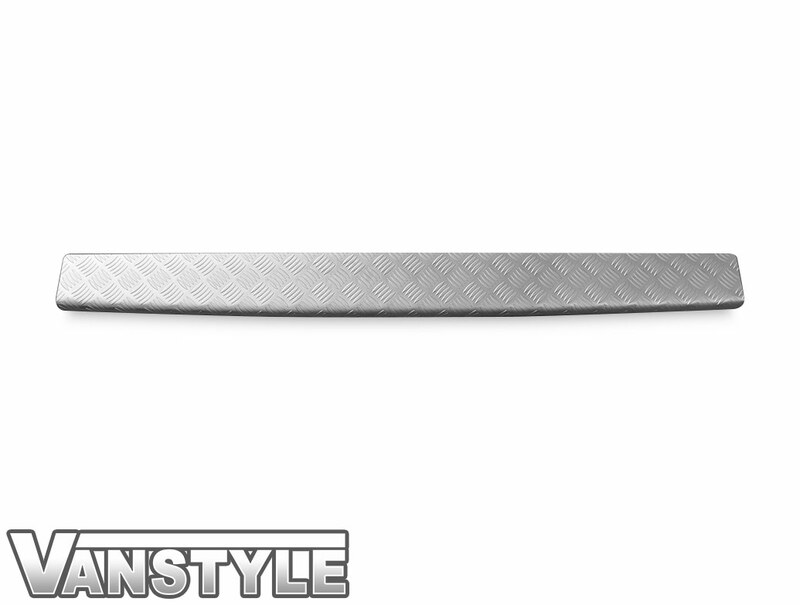 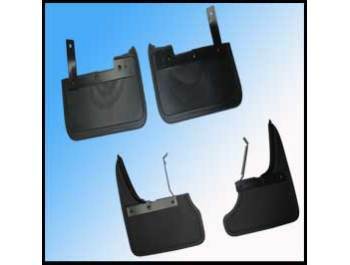 This particular bumper protector is not installed using double sided tape but requires to be riveted or bonded on. 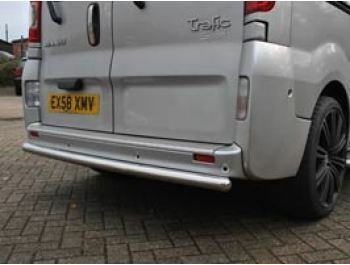 Rivets are supplied in the kit but the protector would hold equally as well using a strong bond or adhesive (not supplied).